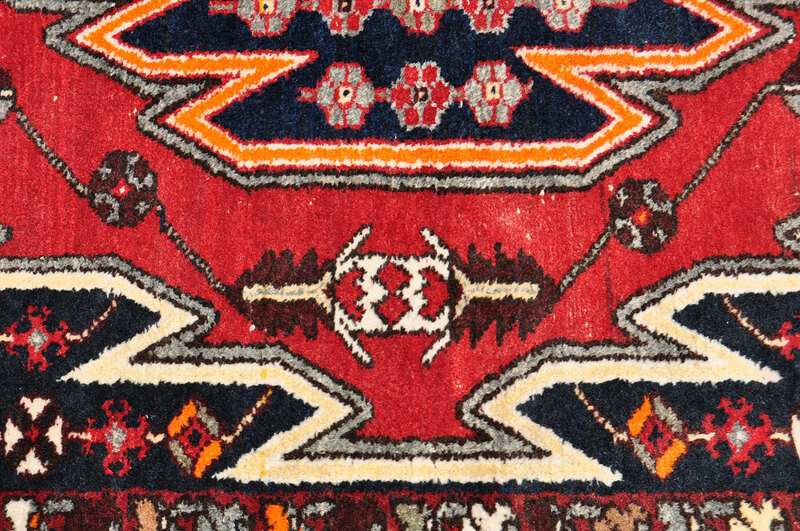 Vibrant old tribal geometric rug from the Mazlaghan village in the Hamadan District of central Iran.The weavers in this locale have been weaving an eye-catching version of this motif going back at least into the 19th century. 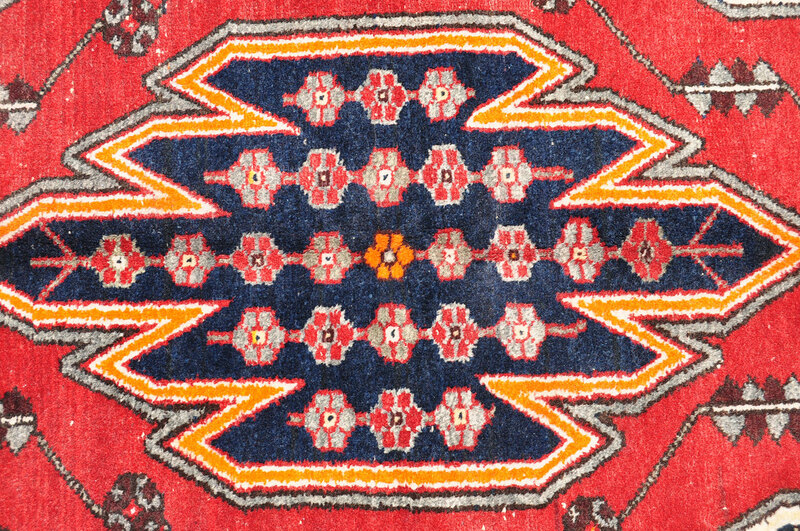 This one features rounded icons on a dark blue-black field with a central crimson medallion. Stylized floral border and highlights of orange. 1950s. Very good vintage condition with a little scattered pile wear. Wool woven onto cotton warp & weft. 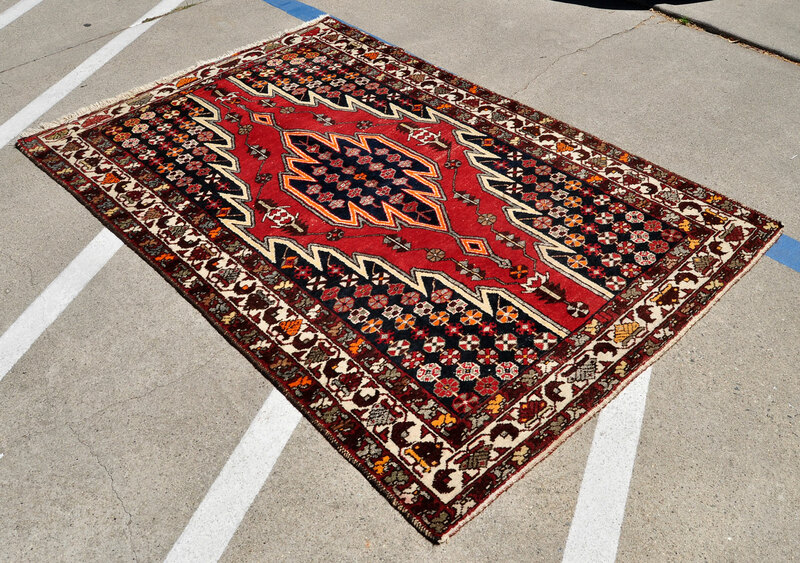 The rug is well woven and can be placed in an area of high foot traffic. Exact size is 6 ft. 9 in. by 4 ft. 4 in. 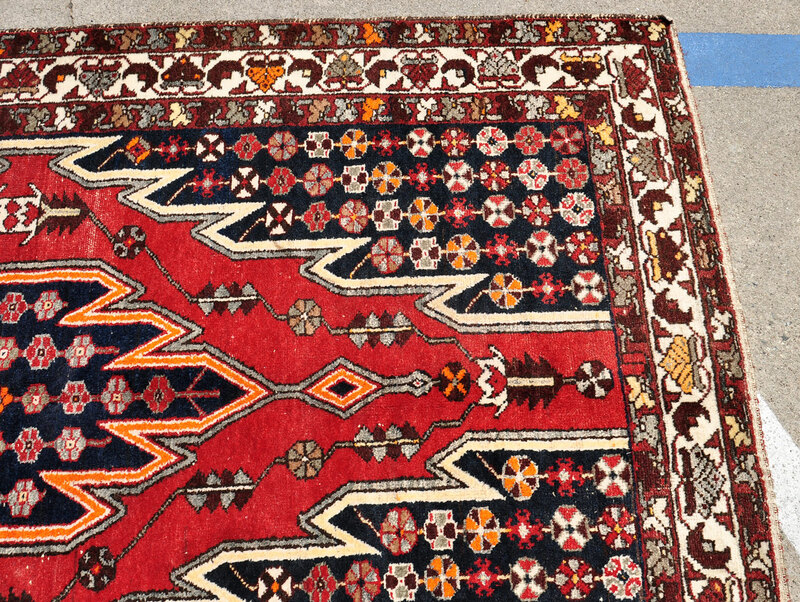 This motif impacts like a lightening bolt across a black sky; one of the most visually striking of all the marvelous tribal rug designs in the world. Price is $319. Shipping is $37 or free pickup.